The Thai Red Cross is currently in a shortage of blood as Thai people choose to donate blood during festive seasons and some significant days. This resulted in unusual blood donations and led to critical shortage many times all over the year. In 2015, I took the Mash Up, Creating with Web API class at NYU Interactive Telecommunication Program. That was when the Go On project began. I started to explore the way that web technologies could possibly schedule people to give blood. 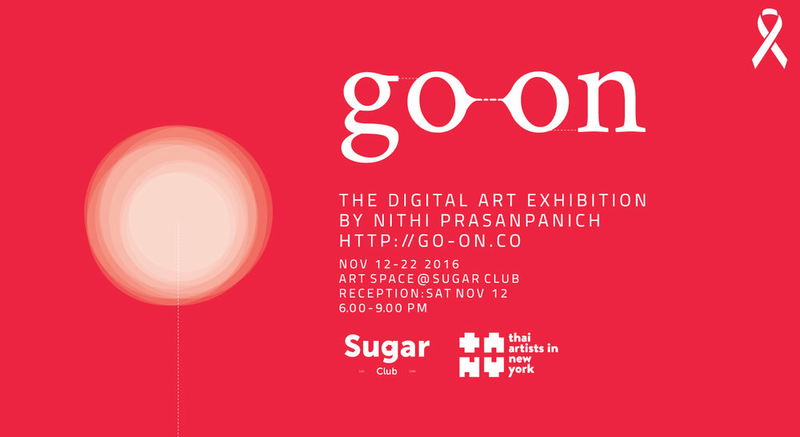 Go On is the digital experimental project that asks people for their Sunday. People are invited to choose any Sunday in their lifetime and go to donate their blood on that particular day. It is literally a web application that allows donors to express their intention and also bring people who need blood to meet with people who want to donate. The web will virtualize all the participants’ signing with playful approaches.